Christmas has well and truly begun at D4R. We have just commenced our annual Christmas bake off and our development team have started on a high. Like in true bake off style, each week is dedicated to a certain bake, we whittled them down to: puddings, bread, pie and pastry and each department are in charge of one of these themes. Today we started with development and their puddings and they did a great job! 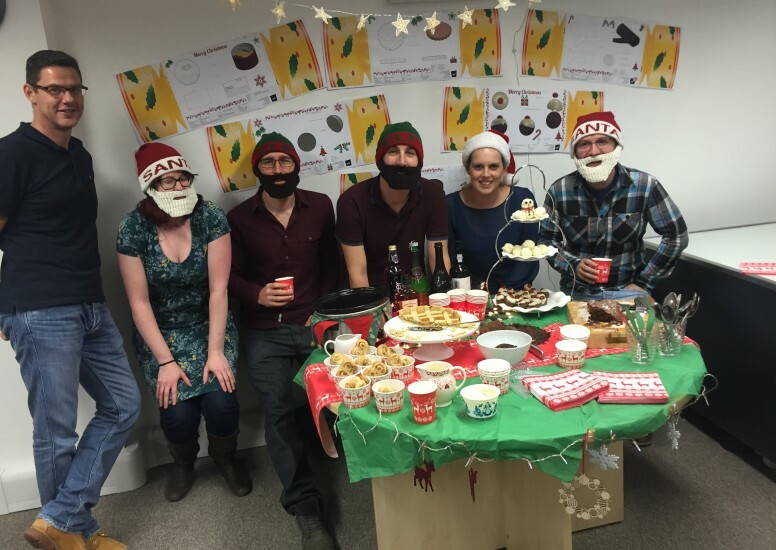 They transformed their office into Santa’s grotto and got all dressed up as Santa and his little elves. They even went to the trouble of creating technical drawings of their bakes (why wouldn’t they?). 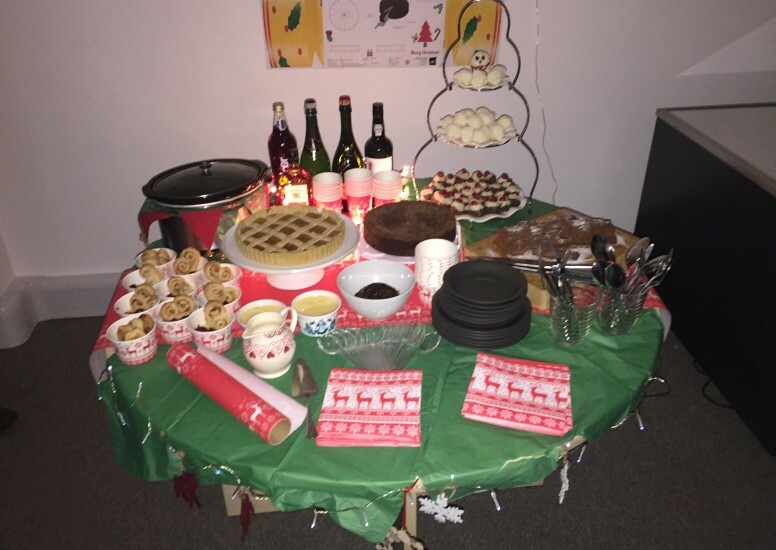 The deserts were extremely Christmassy, on offer we had Treacle tart, Snowflake truffles and Christmas pudding truffles as well as Chocolate yule log, Chocolate Christmas pudding cheesecake and an assortment of beverages including mulled wine! They’ve set the standard now for the design team next week with their bread week, good luck guys! Watch this space..